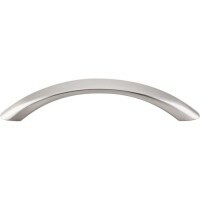 Bow Drawer Pull (3-3/4" CTC) - Brushed Satin Nickel (M384) by Top Knobs. Part of the following colle.. 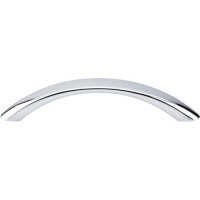 Bow Drawer Pull (3-3/4" CTC) - Polished Chrome (M385) by Top Knobs. Part of the following collection.. Bow Drawer Pull (3-3/4" CTC) - Flat Black (M386) by Top Knobs. Part of the following collection(s): .. 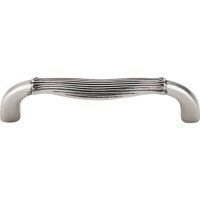 Bow Drawer Pull (3-3/4" CTC) - Pewter Antique (M923) by Top Knobs. Part of the following collection(.. Bow Drawer Pull (3-3/4" CTC) - German Bronze (M924) by Top Knobs. Part of the following collection(s.. Bow Drawer Pull (3-3/4" CTC) - Oil Rubbed Bronze (M925) by Top Knobs. Part of the following collecti..